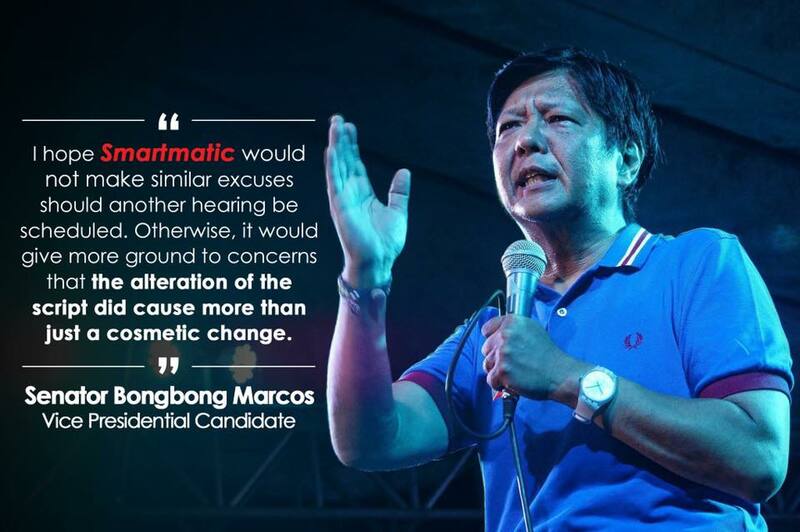 MANILA, Philippines- The camp of vice presidential contender Senator Ferdinand “Bongbong” Marcos Jr. has filed a criminal complaint against Marlon Garcia of Smartmatic for their “unauthorized” change in the script of the Commission on Elections’ (Comelec) transparency server. The case was filed on Friday, May 20 at the Comelec office. The camp of the lawmaker from Ilocos Norte alleged executives of service provider Smartmatic of violating Section 28 of RA 9369 of Automation Election System Law. Under this law, acts that include “interfering with, impeding, absconding for purpose of gain, preventing the installation or use of computer counting devices and the processing, storage, generation and transmission of election results data or information” are prohibited. Marcos’ campaign adviser, Rep. Jonathan Dela Cruz, said that Garcia was the one who introduced the script change into the transparency server. He also noted that Garcia was charged with a similar offense in the 2013 elections. "We don't want this Venezuelan to get away with it,” Dela Cruz said. In addition to the complaint, Marcos’ camp will also file a request letter with the Comelec for them to inspect the USB devices, compact flash (CF) card, as well as vote counting machines (VCMs) used during the May 9 elections. On May 12, the camp of Marcos asked the Comelec to allow their own information technology (IT) experts to check the network operating system of the transparency server. 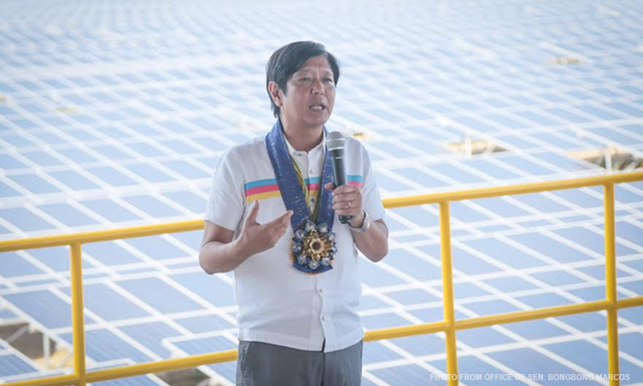 Marcos’ camp believes that the tweak in the server may have caused the change in the senator’s lead over administration bet Rep. Leni Robredo. Allegedly, a new command was introduced into the transparency server on May 11 which altered the hash codes of the server. This supposedly caused the shift in the results trend in favor of Robredo. Meanwhile, Comelec Chairman Andres Bautista downplayed their allegations saying that the “cosmetic change” didn’t affect the votes. However, he admitted that Smartmatic made the change without their authorization.